Las Vegas Publishing Group, LLC, 9781732721012, 294pp. Tenacity chronicles the evolution of entrepreneur Ron Coury, a major business figure in Las Vegas, Nevada and the surrounding western states. 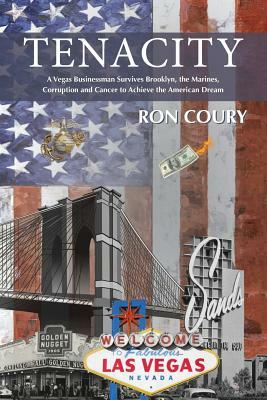 As Coury, a former U.S. Marine, climbed the ladder toward his success, he faced a barrage of constraints including political and police corruption, bribery, coercion and even death threats. Along the way, he also had a few offers to settle matters discreetly, with a few well-placed bullets. His choices would have life altering consequences for many. How does one retain a sense of ethics amidst an atmosphere so rife with corruption? Coury details the struggles he faced and the losses he endured in this eye-opening look behind the curtain of business during the "Good Ol' Boy" days of Southern Nevada.